June is a 35-year resident of La Canada Flintridge and has sold real estate since since 1985. She has earned her G.R.I. (Graduate of Realtors Institute) and is a graduate of the National Association of Realtors Residential Appraisal Education Program had a special course, R.S. 200, from Certified Residential Specialist. 2005-2003, June has received the "Team of the Year Award". In 2004, and 2002, she received the "Never Give Up Award". 2004, the Presidents' Circle Award and 1997, she received the "Sapphire Circle Award" and also the Team of the Year Award." Currently, June is a member of the Pasadena Foothill Board of Realtors, member of the National Association of Realtors. She also is a member of the Las Ridge Adas, The Thursday Club, Central Park Tennis Club and JPL Tennis Club and the Special Children's League where she served in the past as Co-President, Recording Secretary and Ways and Means of the Special Children's League, Foothill Committee. This organization is founded solely to provide support to the United Cerebral Palsy/Spastic Children's Foundation of Southern California. She also volunteers at Dragon Thrift Shop. June has three children, Drew, who co-owner of Associated Aviation in Gig Harbor, Washington, and Dana, who is a Pilates and yoga teacher in La Canada, and Richard Vallett, who lives in New Jersey with his wife and two children. 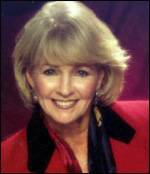 Joanne has been a resident of La Canada Flintridge since 1965 and associated with Richard Keilholtz as a Realtor since 1978, She is a member of the Foothill Board of Realtors and the National Association of Realtors. Joanne has sold real estate in La Canada, Pasadena, Arcadia, Monrovia, Glendale, Montrose, Sunland-Tujunga and the surrounding communities. She has received the Graduate Realtors Institute degree along with "Team of the Year" awards from 2002-2005 and also the "Presidents Circle Award" in 2005 and "Never Give Up Award" for two years. Joanne is married to William Martin and has two children, Bill Martin, who is the owner of Martin Industries, a flooring company in Pasadena, and Anne Wortman, former Rose Parade Queen. Joanne is a also a member of the Thursday Club and volunteers at the Dragon Thrift Shop which is affiliated with St. George's Church in La Canada Flintridge. Dana Rosenfeld has lived in La Canada Flintridge for over 30 years and has in-depth knowledge of La Canada and the surrounding Foothill communities. Being raised in this area and attending the local schools, La Canada Elementary through La Canada High School, Dana has the local expertise, integrity and skills to help her clients, whether buying or selling or looking to purchase investment property. She specializes in La Canada Flintridge and the surrounding communities of La Crescenta, Sunland/Tujunga, Montrose, Glendale, Altadena, Pasadena, and downtown Los Angeles. 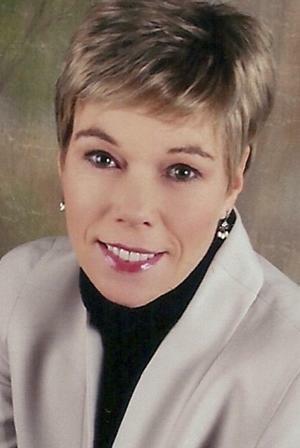 Dana is a current member of the Pasadena Foothill Board of Realtors. 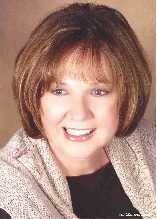 She is also a past member of the Houston Association of Realtors and the Antelope Valley Association of Realtors. Dana is also a Seniors Real Estate Specialist and is especially sensitive to the need of the 50+ market, and the challenges, financially and emotionally, this growing segment of the population may face. Dana’s educational experience also includes a degree in Business Administration from California State University, Northridge with a focus in accounting and finance. She has passed all four parts of the CPA exam and has previously worked as a tax consultant for Ernst & Whinney and as an oil and gas accountant for Marathon Oil Company in Houston, Texas. Dana continues to be involved in the local community. She currently teaches some Pilates and yoga classes at the Crescenta Canada YMCA. She has also participated as a volunteer with the Stars Tutoring Program through the Lake Avenue Foundation. Dana is also a current member of the La Canada Garden Club. Her other passions and interests include swimming, hiking, and taking care of her two dogs.